Do you remember the first time you had your heart broken — how devastated you were? You felt like the world was going to end and no one understood your pain. There was no amount of pleasure that could fill the void. You may have experienced loneliness, shame, sadness, or just felt like nothing mattered. For most of us these feelings only last a few days, hours, or even minutes and then they move past, floating off our shoulders in hopes they disappear forever. However, for Gayathri Ramprasad and millions worldwide these feelings are crippling and sometimes life threatening. Mental illness affects one in four people and is the leading cause of disability worldwide. Yet, the majority of people living with a mental disability do not receive the lifesaving treatment and support they need to help transform their lives. Instead, they are stigmatized, discriminated against, abused, abandoned, imprisoned, chained, hidden away, and sometimes even left to die. This is why individuals like Gayathri are speaking up and saying, “It is time to STAND UP FOR MENTAL HEALTH. It is time to come together as a global community to advocate for the human rights and social justice of people who are struggling with mental illness. It is time to create a world of understanding, compassion, and inclusion. It is time to provide the love, treatment, and support they need to thrive in life”. Gayathri understood there was a need for mental health awareness and how through her own personal journey she could be a new voice and advocate for those suffering from such a painful disability. 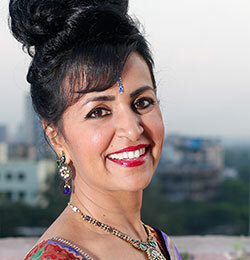 Today, she is the Founder and President of ASHA International a nonprofit organization that promotes personal, organizational, and community wellness. The author of Shadows in the Sun: Healing from Depression and Finding the Light Within and a member of the Global Speakers Federation, she has been acknowledged and awarded for her mental health advocacy including the prestigious Eli Lilly Welcome Back Award for Lifetime Achievement, the Voice Award for Consumer Leadership sponsored by the Substance Abuse and Mental Health Services Administration and in 2008 her alma mater, George Fox University granted her an Outstanding Alumna Award. Gayarthri’s nonprofit organization, ASHA, means “HOPE” in Sanskrit and in English ASHA is an acronym for A Source of Hope for All touched by mental illness. In 2006, ASHA International launched its first wellness campaign, Healthy Minds, Healthy Lives, targeting individuals affected by mental illness as well as their family members and friends. 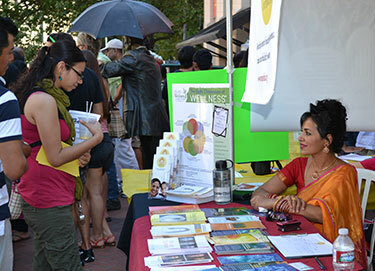 Nearly a decade later, Gayathri’s keynotes, wellness workshops, and cultural competence trainings have reached more than 35,000 people nationally and internationally, with a resounding message of hope and healing. As a little girl born and raised in Bangalore, India, Gayathri’s destiny was predetermined. Her parents dreamed she would grow up, go to college, graduate, get married to an Indian-American, have a couple of children and live happily ever after. Never would Gayathri or her family imagine that one day she would be locked up in the isolation cell of a psychiatric ward. Confined in a seclusion room of the psychiatric ward at the Oregon Health and Science University Hospital, stripped of freedom, dignity, hope and humanity, she promised, “to emerge a messenger of hope and healing. For every indignity that I had suffered in shame and silence, I promised to restore my dignity and the dignity of others like me around the world. For every day that my family and I had lived in despair, I promised to bring hope to others like us”. Please join us on May 2nd to hear Gayathri’s powerful story in her own words and how she is standing up for mental health not just in Portland, Oregon, but worldwide. Natasha lived in Manhattan before moving to Portland about 5 years ago. She spends her time running half marathons, cycling through the state with Cycle Oregon, sampling the delicious restaurants in Portland, and spending time with her fiancé and pug. She is committed to her community. 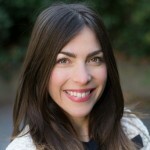 Natasha believes in supporting local non-profits, including TEDxMtHood to inspire, and connect Portland's thriving community of individuals.